The pricing of a product or service will determine the success of any business, so getting it right is important. Price Demand Deals with cascading buying prices is the ultimate real-time gauge on finding what price meets market demand. Many Sellers don't like to discount but today's market isn't going to be loyal to a brand if other Sellers have a similar product for less. With Price Demand having real-time flexible Buying Prices for Buyers to select when it suits them, it's the ultimate Seller's tool. Price Demand with OutSell opens up Global Commerce to the Automation of Sales. 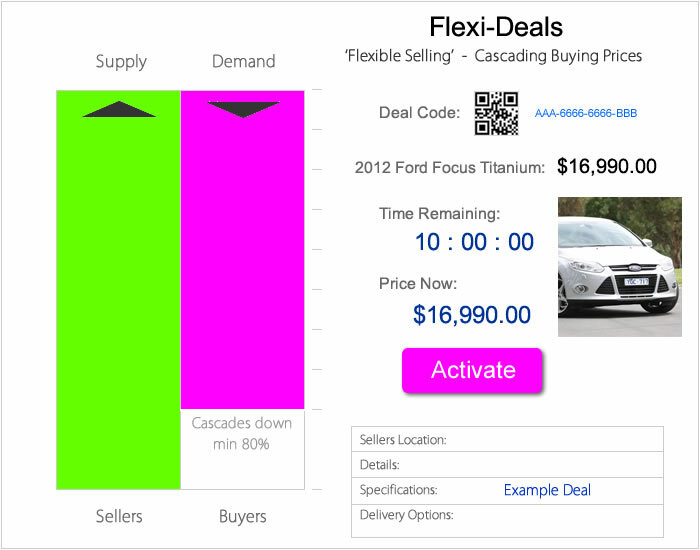 Price Demand Deals displays the Selling Prices, Buyers know the full Selling Price is what the Seller gets, Price Demand Deals allow the bargaining to happen between Buyers, the first to click Buy Now will take the Deal. The Salesman, and in particular the job of selling is handed over to the Price Demand, leaving more time for the job of the follow up Customer Service of handing over the item or making sure it's delivered. The Industries most suited to Price Demand are the Airlines, Hotels, Entertainment, Restaurants, Produce Industries like Dairy and Vegetables / Fruit, anywhere that the full Selling Price is transparent to customers but is time sensitive - Price Demand meets true real-time demand. Customers who've been in contact with an Airline or Hotel can be on the listed Buyers who get notified by QwickAlerts. A Scalable Digital Economy can offer these types of tools to local Sellers in the most isolated locations. Steps it takes to get Price Demand Deals. 2. The LA Deals automatically are set with a maximum 20% Buyers Price before the bidding process is set to begin. 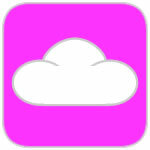 - The Subliminal Advertising displays each Deal's QwickPics until all the Cloudfunds available to earn are distributed. - OMMs and Local Buyers register for the bidding process. 3. Once the bidding has completed the Deal is released to the Local Buyers at the same value as the winning bid. - When an OMM wins the Deal it's then released on the Open Market for Local Buyers, if a Local Buyer wins the Deal they can collect the item with the Collection Code. - The Seller automatically has the Deals ready to release with Price Demand. 4. 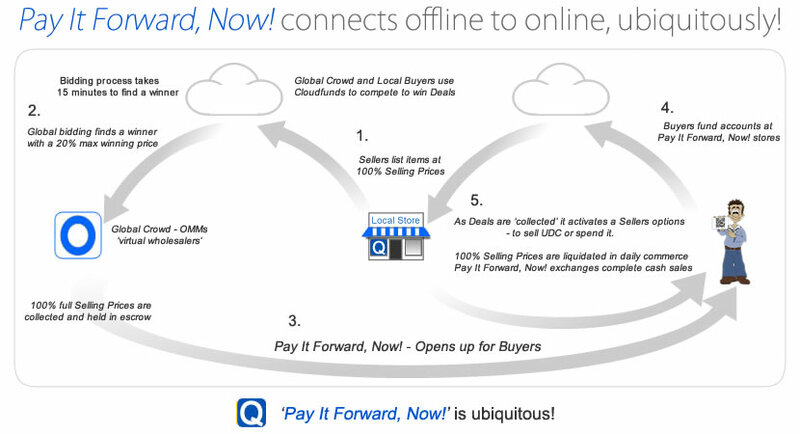 Sellers can either liquidate their Universal Digital Cash for local Cash via Pay It Forward or Spend the UDC with others. How does a Seller start to Outsource their Selling to the Crowd? 'Pay it Forward' completes the sales activity for sellers! As UDC is validated and exchanged in the New Digital Economy it permeates out into local economies! Wherever your Location is - you are not alone!